Your garage doors serve a simple but important function — keeping your belongings safe while giving you easy access to the space. Most days, you probably don’t even consider your garage doors. You simply hop in your car, click open on your garage door remote, and leave the house without much thought to how they work and what happens if they break. Whether you have old garage doors in need of replacement or new ones in need of repairs, we are here to help. 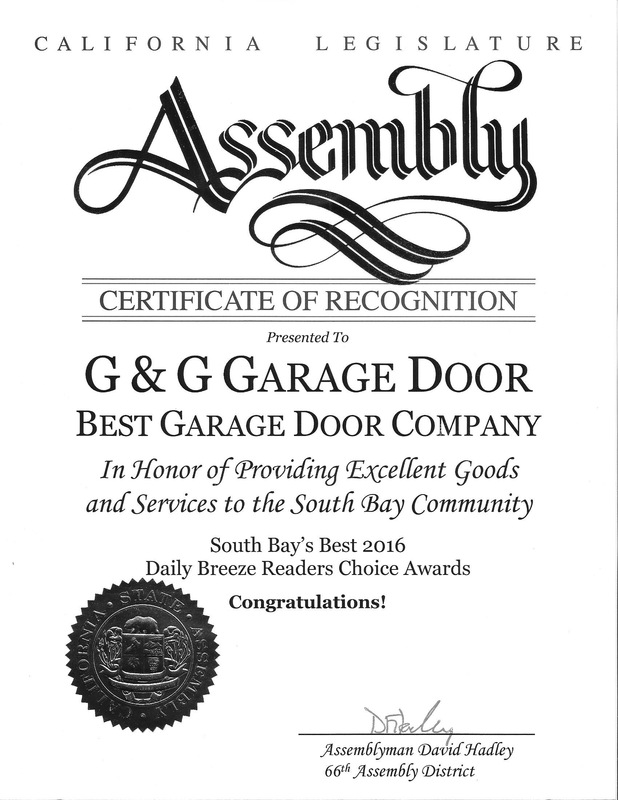 For garage doors in Redondo Beach, turn to the pros at G&G Garage Doors. With over 30 years of experience in the industry, we know everything there is to know about garage door installation, repairs, maintenance, and more. 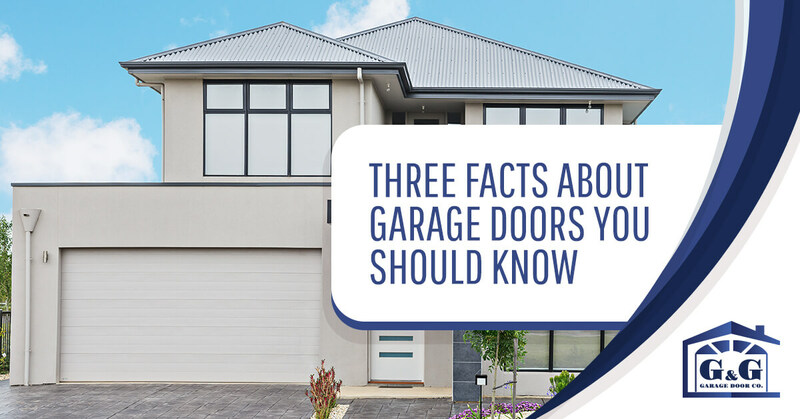 Check out these three facts about garage doors that every homeowner should know and reach out to our team with any questions. Did you know that since 1991, the Consumer Product Safety Commission (CPSC) in the United States has required that all garage doors openers manufactured or imported for sale have a reversing system? This was enacted due to the fact that older models without a reversing opener were extremely dangerous, particularly to small children. These automatic garage doors were responsible for numerous deaths and injuries as they did not automatically reverse direction if anything was located underneath the door as it closed. Modern automatic garage doors now come equipped with sensors. These sensors will trigger the reversing opener, which can lead to saved lives or at the very least, prevention of injury. The CPSC urges anyone with an older automatic garage door opener to replace it with a newer model that meets the federal safety standard. If you have a garage door with an outdated, non-reversing system contact our team for help. We can replace this system with a newer model and install the necessary sensors. If you have a garage door that does feature the proper reversing opener, make sure you test the sensors at least once a month by placing a 2×4 underneath the door. If the garage door does not reverse direction, call our team for help. 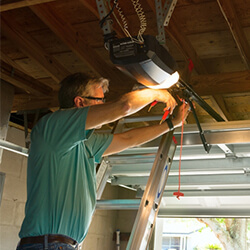 We can diagnose the issue and return your garage door to safe operation. While you might be handy around the house and capable of repairing almost anything on your own, garage doors are one item to leave off your list. The majority of repairs to garage doors require an industry expertise and the right tools. This is particularly true of anything involving your garage door springs. Do-It-Yourself repairs to garage door springs have led to numerous severe injuries and even deaths. These springs are loaded with an extreme amount of tension and are nothing to be trifled with. When your garage door is acting up, the best thing to do is call for help from the pros. Gone are the days of simple, wooden garage doors as the one and only option for replacement. 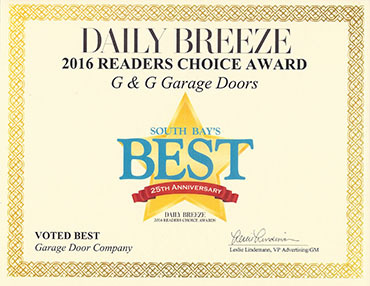 If you are looking for new garage doors for your Redondo Beach home, you have an array of doors to choose from. Modern garage doors come in a variety of materials such as aluminum, glass, steel, wood, and more. Not only that, they can be customized to meet your specific style needs. The sky’s the limit when it comes to choosing a garage door design, making garage door replacement an excellent way to boost your home’s curb appeal. Garage doors also come equipped with smart technology options, allowing you to enjoy an increased ease of use and upgraded security. If you are interested in smart technology options for your garage door system, reach out to our team. Whether you simply need to repair existing garage doors or you are looking to install brand new custom doors, we are here to help. 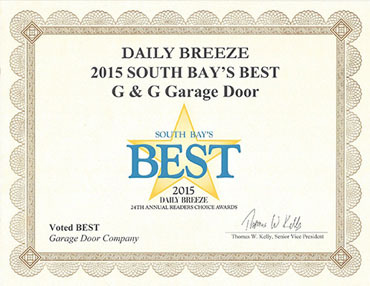 For all your garage door needs in Redondo Beach, we hope you will turn to our top rated company. Our expert technicians have the experience needed to handle projects both large and small. Reach out today to learn more about how we can help.